The quilting stitches are pretty. Leave them. Very lovely little quilt. I’m working on a pineapple quilt now. Trying to figure out your border. Are they quartered pineapple blocks with more of your red? Thank you! 😊No, that is the delectable mountains block. I have mentioned in a previous post where the paper piecing pattern is available for free. I think her site was buzzinbumble(?) You could check my previous blogpost. 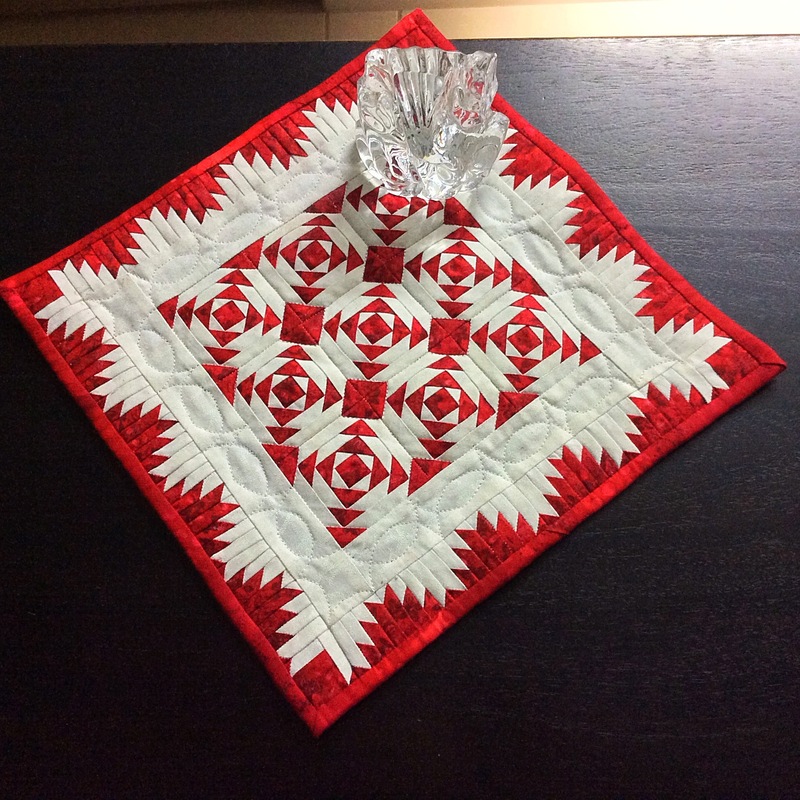 I drafted my own pattern, because I wanted 1″ high blocks and her smallest block was 2″ high. How about Geese in the Mountain ? It’s beautiful, just hang it up. Thanks, Debbie! That was a great idea. I called it Delectable Pineapples, finally. I understand, being the perfectionist that you lare! Nevertheless it’s turned out well! The piecing is perfect! It’s a beautiful quilt! Mads, it’s just beautiful. I wouldn’t change a thing. You are being hard on yourself! This is lovely. Just hang it ! I wonder! The bumpy quilting stitches look pretty bad.